About some 300 km Northwest of Hanoi, Mu Cang Chai is one of the most amazing landscapes of rice-terraced fields in Vietnam. Located about 1000 meters above sea level, Mu Cang Chai has a special topography with steep hills and deep valleys where the local residences such as Hmong, Thai, Dao have created the master-piece, Terraced Fields. They has cultivated about 500 hectares of rice terraces for centuries in La Pan Tan, Che Cu Nha and De Xu Phinh communes. In 2007, the fields was recognized as national heritage sites for its amazing landscape. The fields look stunning during the rice season. The best times are the planting season (June) and the harvesting season (The end of September to the beginning of October). During harvesting season, ready crop is turning to yellow, while new crop is dotted with white of water and young green of seedling rice. The scenery is a big attraction to photographers and trekkers. 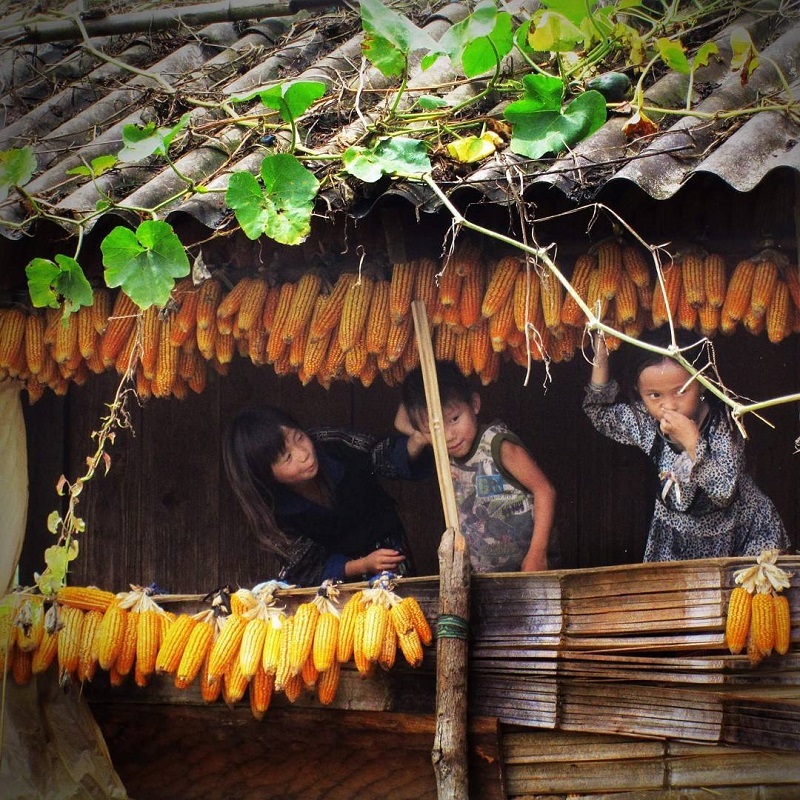 Lets give a look at our below Mu Cang Chai sample Tours and get an idea for planing your trip. Mu Cang Chai Trekking Tours are great adventure trekking tours in Mu Cang Chai which allow travelers enjoy incredible countryside in Mu Cang Chai. 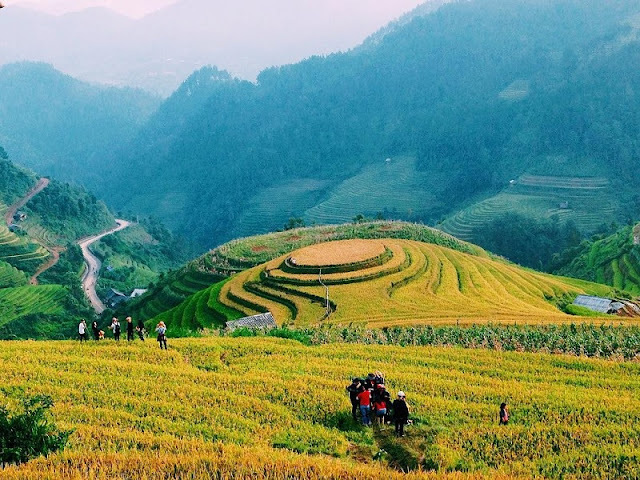 The trekking tours are also let travelers visit villages of Thai, H’mong and other minority people living in Mu Cang Chai, explore their culture as well as real life of local peoplein Mu Cang Chai – Northern Vietnam. Mu Cang Chai is the rural area in the mountain – North of Vietnam. Being famous for its natural landscapes, Mu Cang Chai is the famous place to visit in Vietnam, especially for travelers who love trekking tours in Vietnam, enjoy Mu Cang Chai Trekking Tours will be great adventure holidays in Vietnam. The most attractiveness of Mu Cang Chai is the rice terraces, stretching from this mountain to another one, from villages to villages. Travelers enjoy trekking tours in Mu Cang Chai during new rice crops or harvesting time will be the most wonderful periods to enjoy the truly amazing views of the rice terraces in Mu Cang Chai. There are many places to experience this brilliant rice terraces in Mu Cang Chai like in La Pan Tan, Che Cu Nha or Ze Xu Phinh. Travelers who love trekking tours in Mu Cang Chai will also have great opportunity to learn more about culture and daily life of local people. This is the home of Thai and H’mong People. Each of these has their own, unique culture and lifestyle. Meeting friendly hill tribe people along Mu Cang Chai Trekking Tours will bring travelers wonderful experiences and memories for adventure trekking tours in Mu Cang Chai – North of Vietnam. Another interesting part of trekking tours in Mu Cang Chai is travelers will stay overnight in homestay with local people which will take travelers closer to the real life of hill tribe people. Just like the homestay in Sapa, stay overnight in Mu Cang chai in peaceful, quiet homestay overlooking to stunning rice fields, mountains will be great while taking Mu Cang Chai Trekking Tours. 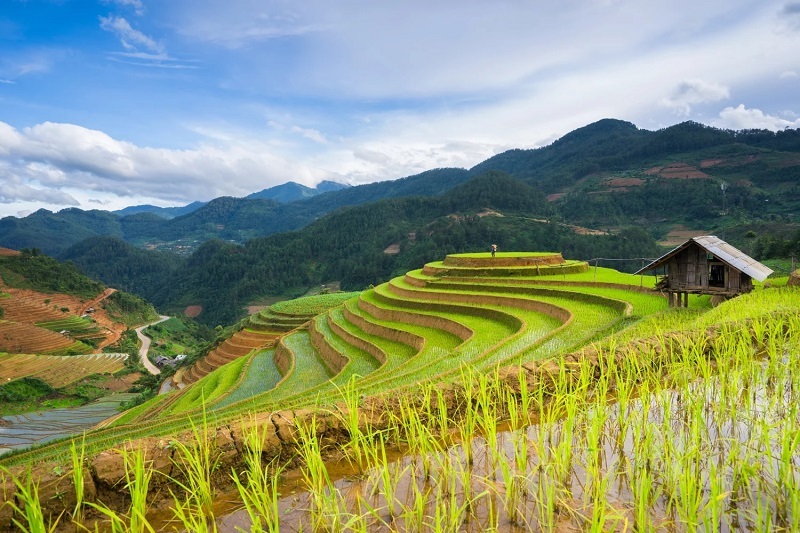 Discover the most special things of the Northern mountains of Vietnam with us in this year's rice terraces, right now connect with us to get specific itineraries.